Situated on a 55.5 acre parcel of land, this three bedroom, one bathroom home is very generous in size and situated privately among the trees at 2494 Clarence Way. 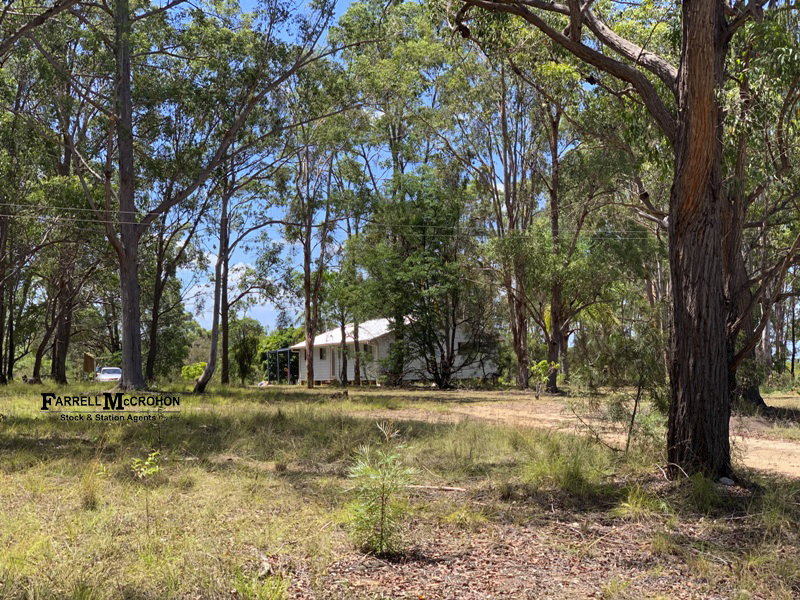 The property is a balance of bushland and open grazing country and would suit horse lovers, bush walkers, motorbike riders or someone wanting room for the kids to explore. The location of the home is sure to attract the attention of anyone wanting their own bush retreat. The property is located less than a 30 minute drive from the CBD of Grafton, and also enjoys the convenience of being just 5km from Copmanhurst village, with a preschool & infants/primary school, general store, hotel, sportsgrounds and boat ramp into the Clarence River. The school bus also picks up out the front and drops off to the high schools in Grafton. There is a double bay machinery shed with power connected, along with a larger shed which is located down the paddock. The property is connected to town water and mains power, and there are three dams on the property (one is in need of repair). Clarence Valley Council rates are approx $1,300 per annum. A bit of work and TLC would really make this property shine. Move straight in, or do some reno’s to add your own touch to this home. We acknowledge there is a bit of work to be done here and are priced accordingly, with serious sellers and a need to sell urgently. Inspection is by appointment only. Phone JoJo Newby on 0417 690 637 to arrange your inspection.